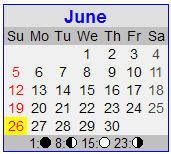 June 2011 was certainly a busy-month in the cigar industry. Many cigar manufacturers and retailers are in the preparation stages for the 2011 IPCPR Trade Show. It is usually around this time when cigar manufacturers begin to release information about what they plan to unveil at the show. Independent of IPCPR, there is a ton of news going on. The main focus will be on the happenings I explored on the Cigar Coop website, as always there was plenty of information that happened beyond what has been reported, so there will be some additional things not reported. There was some good news and some sad news in the world of Cigar Ambassadors. On the positive front, Jack McKeon returned to managing in the big leagues this week as he was named interim manager of the Florida Marlins This is significant from a cigar perspective because Jack McKeon LOVES cigars. Here is a little write-up on this on Jack’s return. As a bonus, here is a link where you can see Jack lighting up a cigar since he returned to the Marlins’ dugout. On the sad front, we lost one of the great cigar ambassadors and actors of our time. Peter Falk, best known as TV’s Columbo passed away at age 83 on June 23, 2011. Here is a good write-up in Cigar Aficionado on Peter Falk from a cigar perspective. It seems a lot of times, the battles against the Pleasure Police can be tireless. Well, the good news is that were two significant victories accomplished in Delaware and Nevada that bode well for cigar enthusiasts. Here is a recap of the victories. The Delaware victory has headed off a potential tax increase and the Nevada victory lifted smoking restrictions in standalone bars and restaurants. While not a victory yet, the office of the Comptroller in the State of Maryland has said they will not enforce the ban on Intenet Sales for Premium Cigars. The law is not yet repealed but a letter from Comptroller Pater Franchot’s office was sent out indicating his position. While it didn’t make it into the last State budget, the $1.00 Cigar Tax Cap is alive. The Senate Bill (SB 3410) has passed through the New York State Senate. The Assembly portion (A 1093) has still not been voted on and it appears the legislature as adjorned until September. In addition, New York Governor Andrew Cuomo must also sign this legislation and there are indications that he will sign this. Ron Melendi, President of the NYTA has done a great job at leading the charge here. Here is an open letter he wrote to the NY Cigar Community. Melendi also put together a powerful video on the struggles in New York of dealing with the high taxes. Meanwhile, the NYC Outdoor Smoking Ban has netted a total of one ticket. This shows what a joke of a law this is. Torano Family Cigars announced that they will be the distributor for Sam Leccia Cigars. Last month, Sam Leccia announced the formation of Sam Leccia Cigars and his first release, the Debut. Meanwhile, Oliva Cigars – the company Leccia was formerly with has filed an injunction against him. In a bit of a surprising move, Gary Hyams, who in January stepped down as chairman of CAO has been named President and CEO of Gurkha. Jose Blanco, long-time Director of Sales at La Aurora has announced he is retiring from the company. A lot of new cigars are now coming out with the IPCPR show a little over two weeks away. There are too many to cover, so these are the ones we focused on this month. I recommend following Charlie at The Cigar Feed who is doing a great job with providing information about the IPCPR releases. 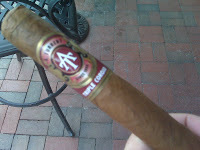 The A.Turrent Triple Corojo was unveiled at Cigar Dave’s Show in Charlotte, NC. The cigar will be exclusively sold at Tinderbox in Charlotte for the next few months. Here is a first impression of that cigar. E.P. 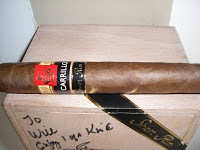 Carrillo’s second Short Run, the E.P. Carrillo 2011 has made its way into stores. 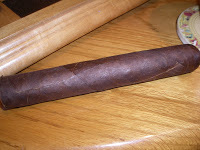 Here is a review of the cigar. The limited release for this new collaboaration between Drew Estate and Joya de Nicaragua is starting to make its way out. Here is my pre-release review of the cigar. Room 101 released information on this new cigar. Here is a synopsis of it. I am still evaluating a numerical rating system for cigars. The numerical ratings have gone through some beta testing, but it definitely needs some more work. I’m anticipating this will not be unveiled until later this summer.